Legendary head coach Eddie Robinson enjoyed one of the finest coaching careers in sports history and was one of the greatest leaders the game ever saw. In his 56 year career, he had 45 winning seasons, including winning or sharing 17 Southwestern Athletic Conference championships and nine black college football national championships. More than 200 of his players went on to play in the American Football League, CFL, and NFL. Robinson coached three Pro Football Hall of Fame players. He won his 408th game on October 11, 1997 (26-13 over Mississippi Valley) and became the winning-est coach in the history of college football. 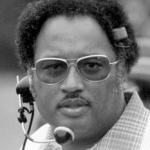 He was inducted into the College Football Hall of Fame in 1997. 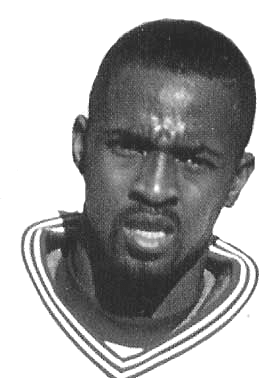 Grambling State opened the 1991 SWAC season against Alcorn State. And in the very first snap in the opening series, the Tigers knocked the Braves starting quarterback out of the game. The powerful Tigers, picked to win the conference title, had to feel their chances bolstered and started to feel confident of a certain win. Coach Robinson peered across the field at the tall, gangly youngster coming off the Braves bench. If anyone was wondering if the kid could handle the pressure in his very first action in the rough and rugged SWAC, he promptly went out and led Alcorn State to a thrilling upset of the Tigers, 27-22. And the rest is history. For the next four years, Steve McNair lit up the football world with his knack for thrilling comebacks. 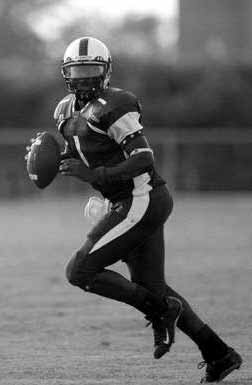 Armed with a powerful arm and rushing prowess, he was a perennial All-American for three years and named National Player of the Year in his senior year. 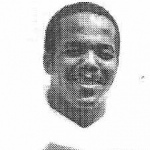 He solidified his career with a spectacular game on October 22, 1994 with a 22-yard scamper against rival Southern University which capped a 41-37 comeback. 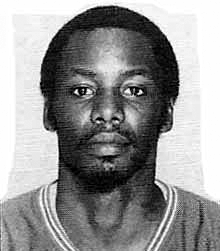 In the fourth quarter with 2:15 seconds left in the game, he hit his brother Tim McNair with a short pass...then tossed a 52-yard bomb to wide receiver Robert Hinton to the Jaguars one-yard line. With just 10 seconds to play, Steve broke off a on-yard run, breaking tackles on his way to seal the victory. He finished the game with 567 passing yards. In his last regular game vs. Jackson State, Steve topped that when he threw for 557 yards in a 52-34 romp. His career TDs was a conference and school record. He set NCAA all-time Career Passing with 13, 487 yards. McNair was the 1995 first round pick of the Houston Oilers/Tennessee Titans and went on to lead them to five NFL playoffs and was runner up in Super Bowl XXXIV. 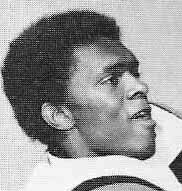 [/ezcol_1quarter][ezcol_1quarter] Rudy Hubbard stepped into the shadow of the great Jake Gaither at Florida A&M in 1974. Hubbard’s impact was felt right away as the went 30-5 from 1977-79. 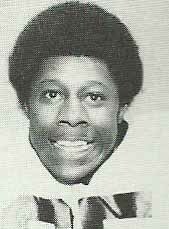 He led the Rattlers to two undefeated (1-0) seasons and reaped the 1977 NCAA 1-AA National title with a 12-1 record. 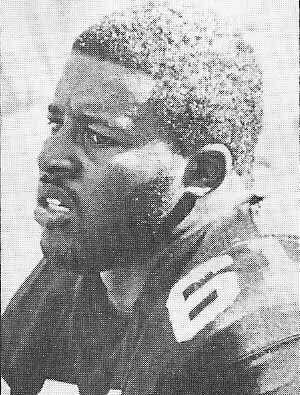 [/ezcol_1quarter_end] defensive lineman Tyrone McGriff (future College Hall of Fame member). The Rattlers were ranked no. 1 in Division 1-AA at the start of the season. The fourth victory in their 5-game winning streak came in Week four when the University of Miami came into Doak Campbell Stadium. Like most Division I teams, they must have had an air of confidence about playing a smaller, less known team. The Hurricanes quickly found themselves battling for respect as the Rattlers shut down the potent ‘Canes’ attack for four quarters, using a hard-hitting defense and a wide open option ground game orchestrated almost perfectly by quarterback Sammy Knight. With halfback Melvin McFadden and Archie Jones leading the rushing, they kept the ’Canes’ off balance all day. Knight led the bruising rushing attack with 100 yards. With the game tied at 113-13, kicker Vince Coleman booted a 34-yard field goal and staked FAMU to a 16-13 lead that they wouldn’t relinquish. The Rattlers stingy defense saved the day, shutting down Miami’s futile surge to the 10-yard line. They held for three furious attempts and forced a game-tying field goal try that missed wide. Head coach Marino Casem’s Braves had not won a conference title since 1976...this was only their second winning season since 1980.
nationally ranked defense was one of the top interception leaders in the SWAC...he was joined by senior free safety Erick Moon and junior cornerback Tony Woolfolk. Head coach Archie Cooley stunned the SWAC hierarchy when he boldly chided Eddie Robinson and the other SWAC coaches to make room’ at the top for his Delta Devils. 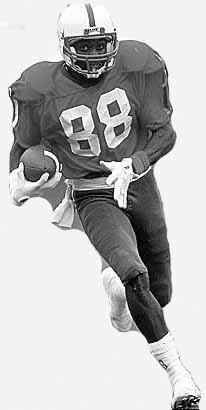 They were led by wide receiver Jerry Rice (NCAA-1AA and SWAC record setter and quarterback Willie Totten, who was putting up unbelievable passing numbers and records. They were on a collision course to decide the conference title but it felt more like a championship game. The Devils placed 5 offensive players and three defensive players on the All - SWAC First Team. Alcorn State struck quickly as quarterback Richard Myles threw a 60-yard strike to wide receiver Darryl Joe. The Braves took an early 13-7 lead as Isaac Holt and Erick Moon took the Devils explosive receivers out of the game. Holt hounded Rice all day, holding him to his lowest productivity on the year. Both defenses harassed the passers into had four interceptions by halftime. The Devils tied it up at 28-28 going into the fourth quarter before halfback Perry Qualls scored on a one-yard plunge to give the Braves the lead again with under a minute left in the game. The Devils were marching down the field and on fourth down and 59 seconds left, and everything on the line, Valley’s Totten was sacked by defensive tackles Michael Simpson and Arnold Campbell. With 25 seconds left, Totten dropped back again under heavy pressure and threw a dart down the left sideline towards Rice, but Holt was in perfect position and intercepted the ball and streaked in for a back breaking and touchdown. In the end, Totten was intercepted four times and the ’Devils were held to only twenty-eight points, losing 42-28. (Miss Valley rebounded to finish the season with a 9-1 record and second place in the conference. They lost to Louisiana Tech, 66-19 in their Div. 1AA playoff game. Alcorn State finished 9-1 and captured the SWAC and Black College Championship title before losing their final game to Louisiana Tech, 44-20). On September 24, 1976, the Tigers and Bears met on neutral ground- albeit foreign ground when they debuted the American college football game in Tokyo, Japan. They were selected to celebrate the US Bicentennial with the gridiron exhibition. 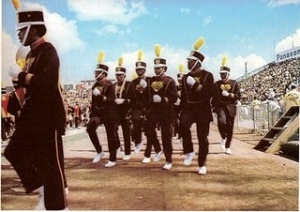 An added treat was the flamboyant band of Grambling who gave the Japanese a taste of a Saturday afternoon at a Black college game. 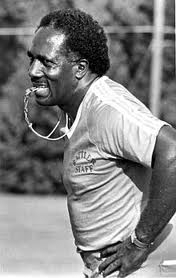 The Tigers, led by future Hall of Fame coach Eddie Robinson was coming off two season opening losses to Alcorn State and Temple, and Morgan State had won their opener 23-6 over Virginia State. Still, the annual match-up incited such anticipation because of the setting and the privilege to be the first American college team to play outside the Western Hemisphere. (The truth was, the game had been introduced to the Japanese by the American military when they would play "intramural" games after the end of World War II.) Grambling broke their losing streak by trouncing Morgan State, 42-16. They would finish the season with at 8-3-0 while the Bears had a 6-4-0 ending.